HACHI / Kenshi Yonezu is a male singer/songwriter who has been active on Nico Nico Douga for the category of VOCALOID since 2009 under the name of “Hachi.” He became popular as his signature numbers such as ‘Matryoshka’ and ‘Musunde Hiraite Rasetsu to Mukuro’ reached more than 5 million plays and 3 million plays, respectively. He released his 1st album “diorama” with his real name “Yonezu Kenshi” in 5/2012. 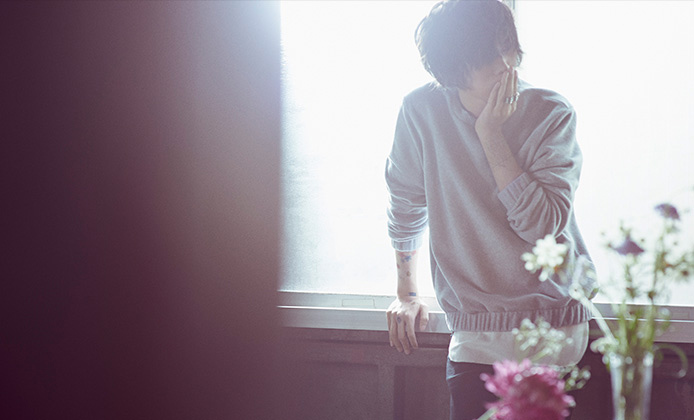 Not only was the entire album written, arranged and mixed by Yonezu himself, but also the album artwork and illustrations in the booklet were self-produced. For such works, he has gained much attention and recognition as a multitalented creator. He made his major debut with a single “Santa Maria” in 5/2013 from UNIVERSAL MUSIC JAPAN.